We pay the highest commission rate in the entire industry. 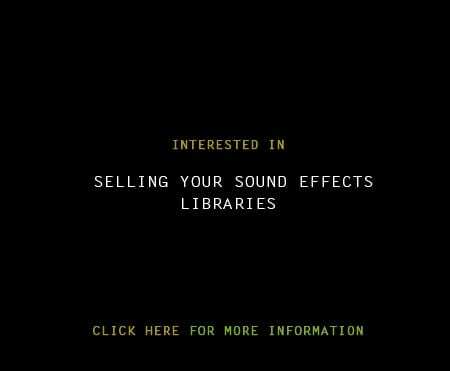 If you are a professional sound recordist interested in selling your sound effect libraries, you can now earn thousands of extra dollars per month doing exactly that, whenever you want from where ever you want. Our vendors do this and more! usually from the comfort of their homes, in nothing but their underwear - holding a boom mic and pole. Upload your sound libraries and earn 80% commission on all sales (get paid instantly into your Paypal account on every sale). Sign up for a vendor account now - Only professionals need apply.